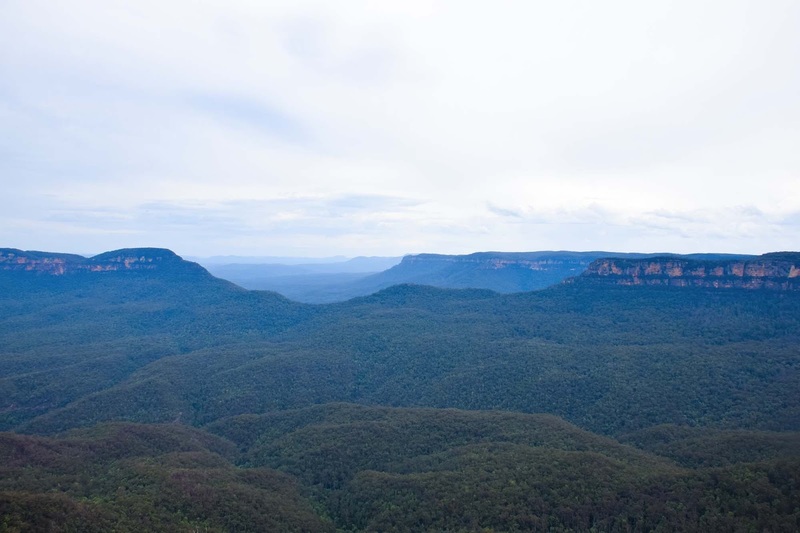 The first stop on our roadtrip was the Blue Mountains, shamefully despite many visits to Sydney it was a region we have never visited. 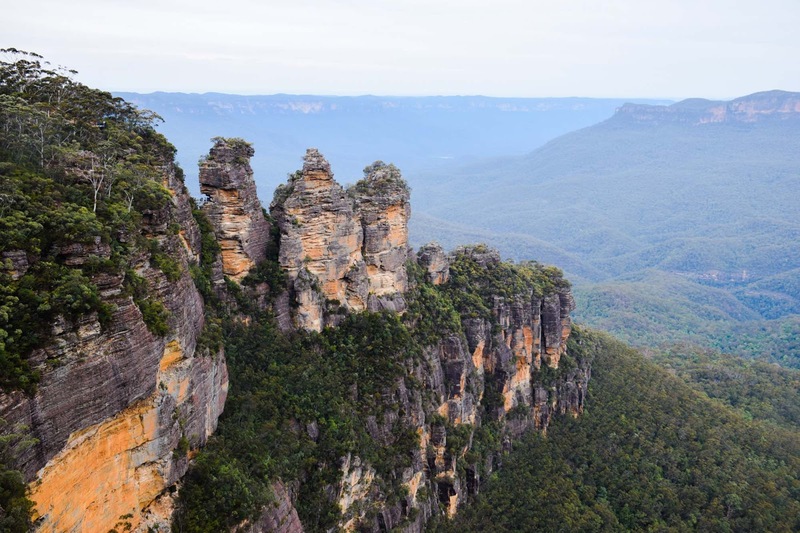 The Blue Mountains National Park can be found under two hours out of Sydney in New South Wales and is known as a World Heritage Area with a giant variety of activities to try and lookouts to visit. 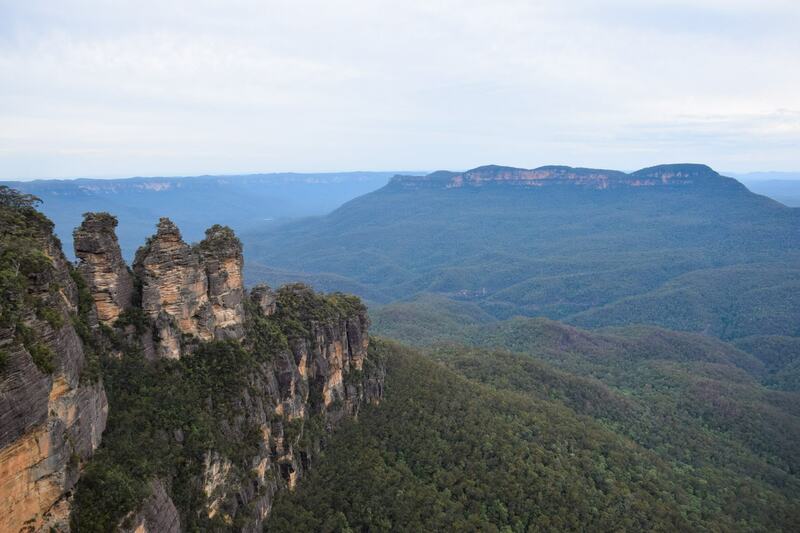 The iconic Three Sisters are probably what most people think of when they imagine the Blue Mountains. Three giant limestone mountains rising up out of the mountains and perched perfectly to be appreciated in many different ways. 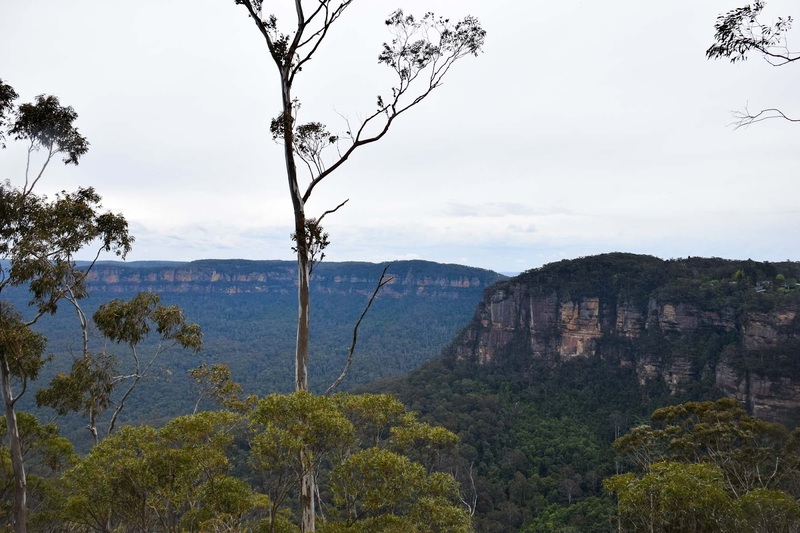 Echo Point is part of the Prince Henry Cliff Walk, showing off panoramic views of the Southern Blue Mountains and has many different lookouts to enjoy. For the brave take a walk down the Giant Stairway, 980 steps right down to the valley floor. 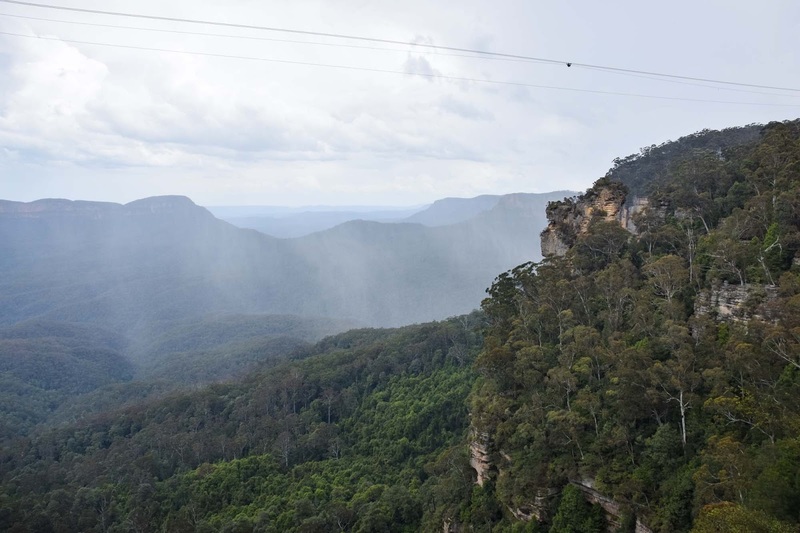 From there you can catch the scenic railway back up to the top. 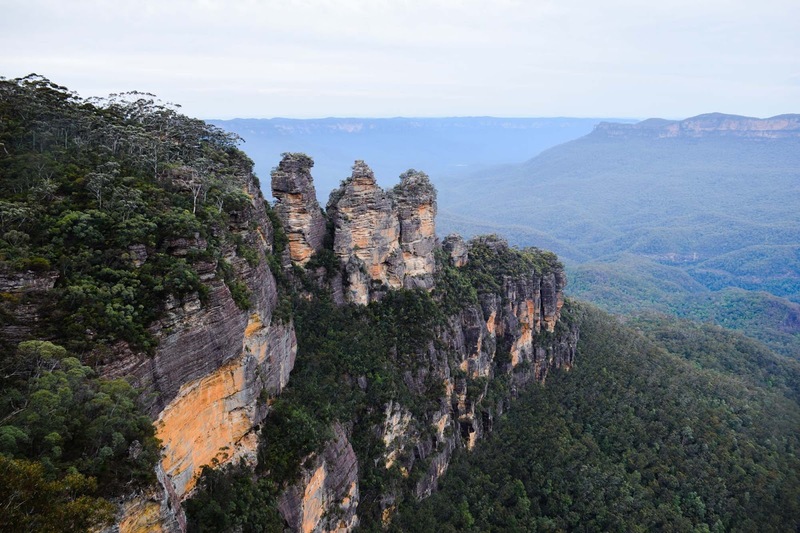 You can also walk right inside the sisters, if you follow the walk leaving from the top of Echo Point it’s only a few hundred metres away. 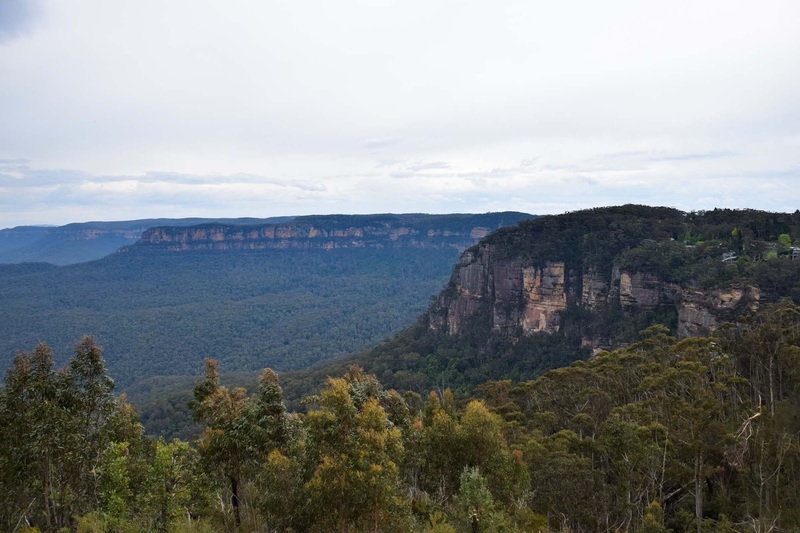 Leura has to be the cutest town in the Blue Mountains region, with perfect options for meals and snacks in between hikes and visiting lookouts. 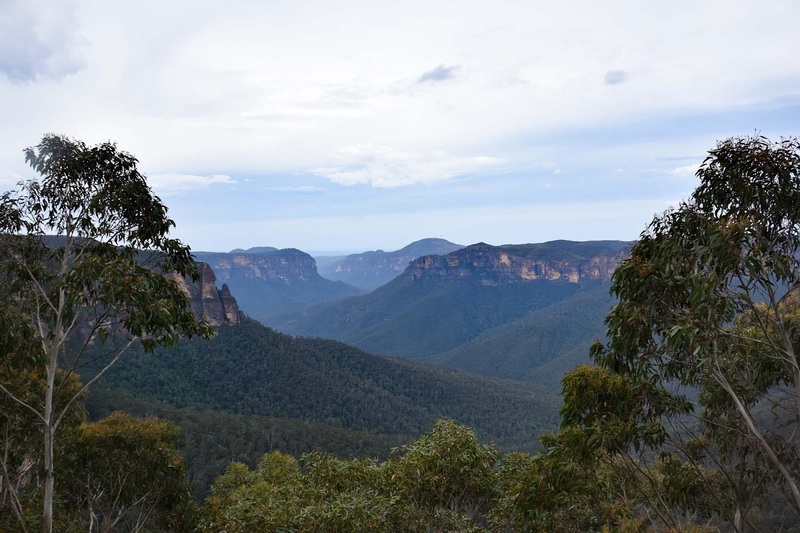 With leaves lining the whole street and historical building fronts providing the town with an authentic vibe, Leura was definitely my favourite town in the national park. Check out the local stores for arts and crafts and beautifully unique gifts. 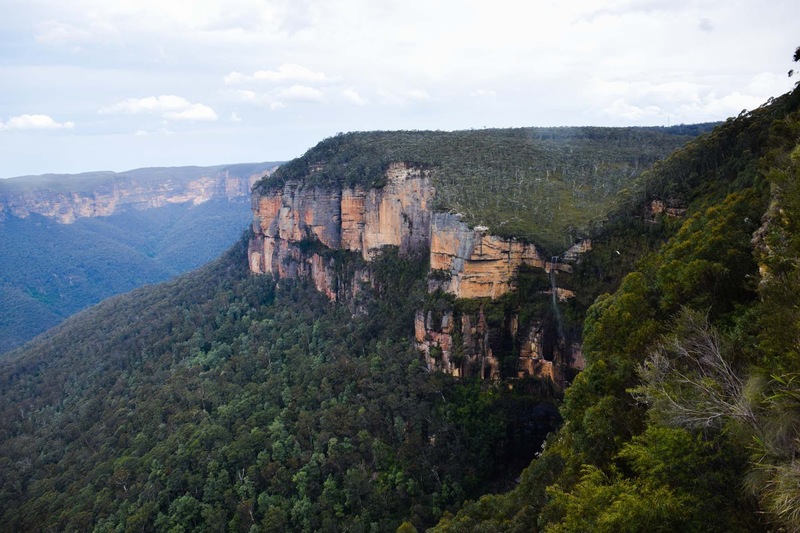 Check out the best places to stay in Leura. 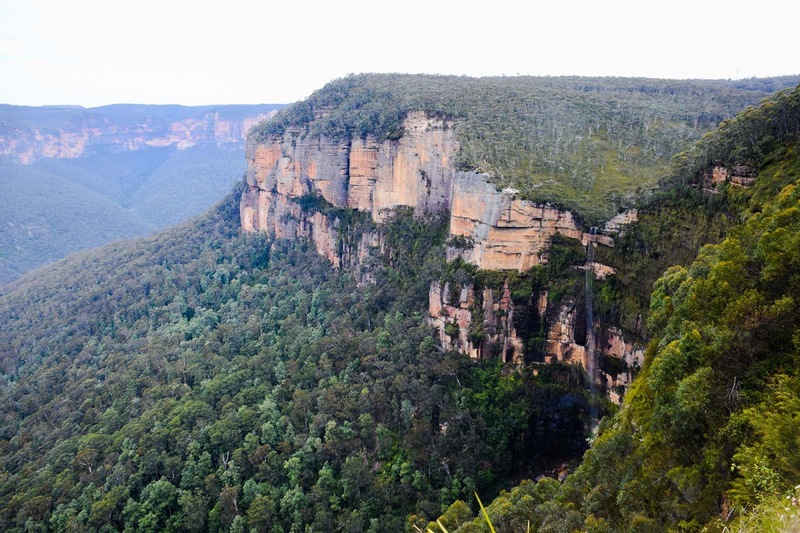 Scenic World in Katoomba is the perfect place to get the full Blue Mountains experience. 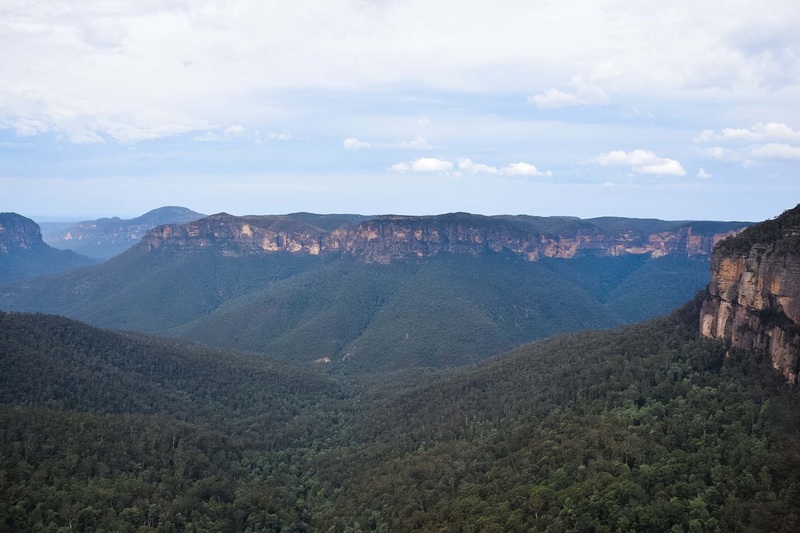 With panoramas of the wilderness, waterfalls, valleys and rugged sandstone tablelands Scenic World offers the best views from either the glass floored Skyway, 270 metres in the air and descending into the ancient Jamison Valley or by a ride on the world’s steepest incline railway. 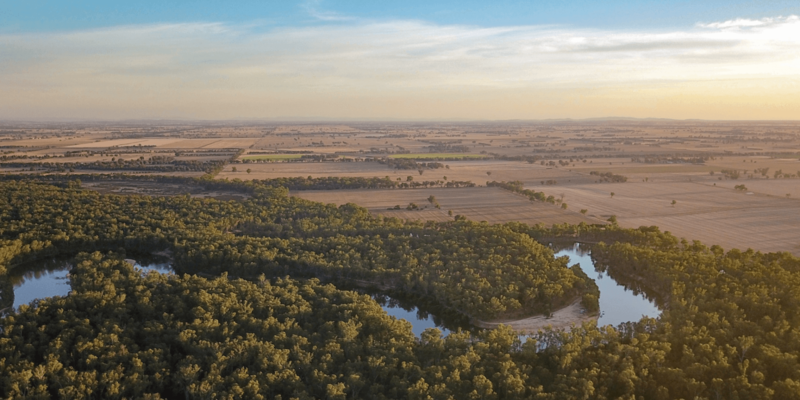 At the bottom of the Jamison Valley you can check out the Southern Hemisphere’s longest boardwalk which snakes around the floors of the Jurassic Rainforest. 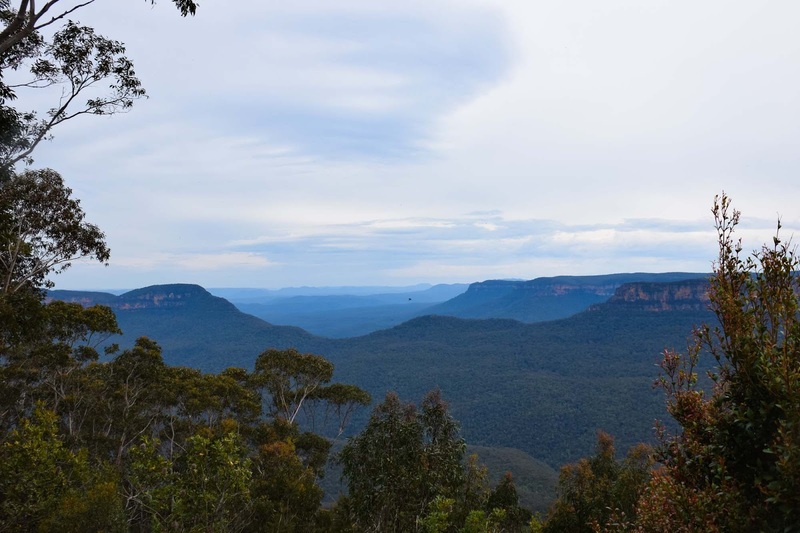 Scenic World also offers the best views of the Blue Mountains highlights, the Three Sisters and Katoomba Falls. 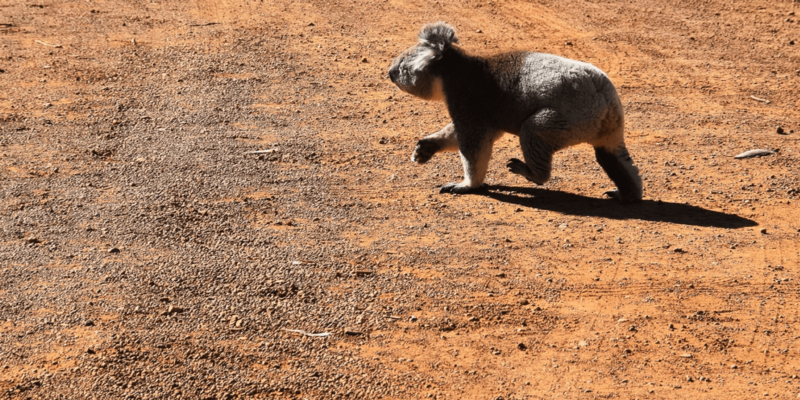 For the perfect end to the day make sure you leave some time to explore the ancient Jenolan Caves and discover the limestone crystal and underground rivers that are deep in the mountains. 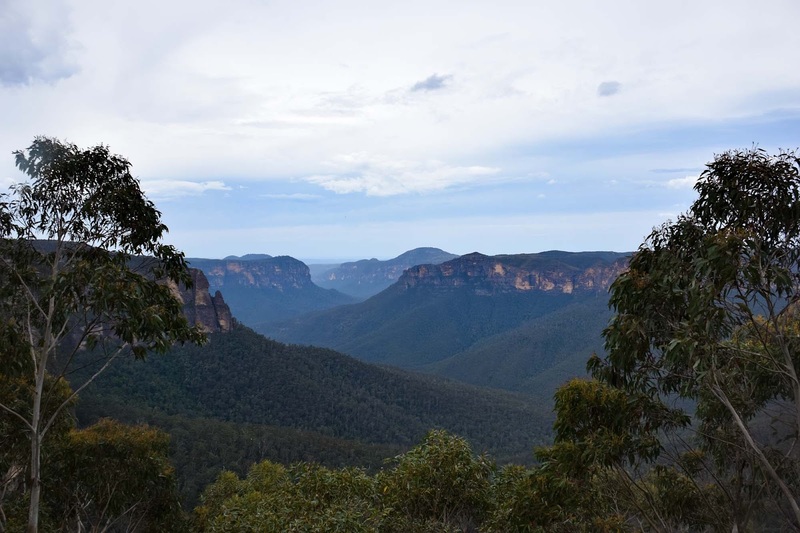 Explore more of the adventures and experiences you can have in the Blue Mountains. 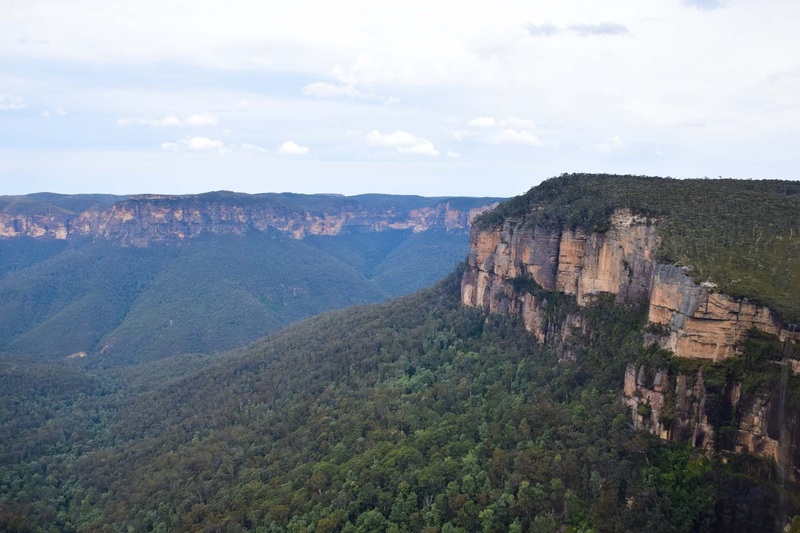 Gorvetts Leap Lookout provides stunning views of the other side of the Blue Mountains, as well as one of the tallest thinnest waterfalls in the national park. 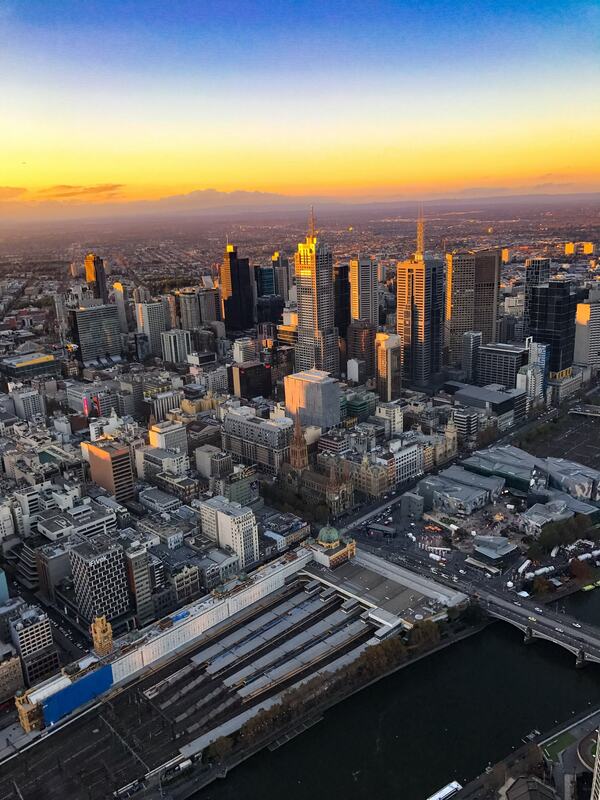 The weather around the time of your visit will determine how strong the falls are, so if you have a few days to spare make sure you plan your visit after some rain! It was quite light during our visit, but you could still see a small trickle of water. 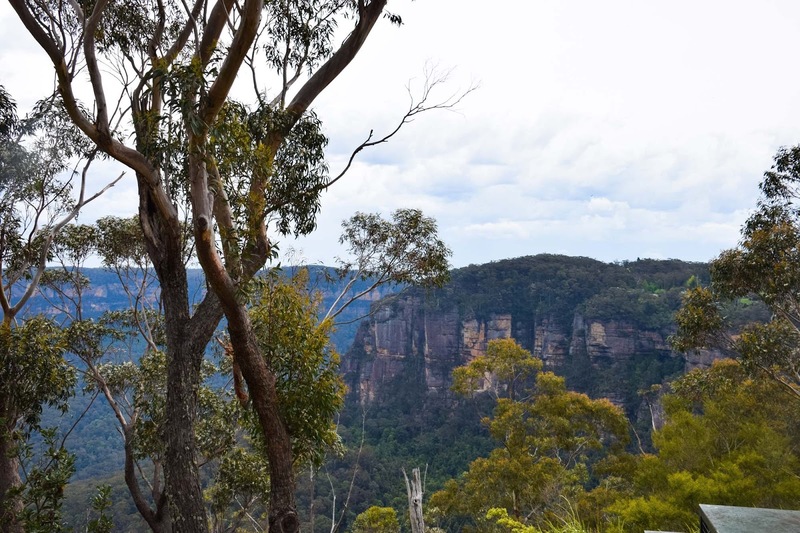 For one of the best views in the Blue Mountains, make the hike to Baltzer Lookout for the perfect view of the Hanging Rock. If you’re super courageous, you can even continue further to climb the Hanging Rock and stand on what feels like the edge of the world. 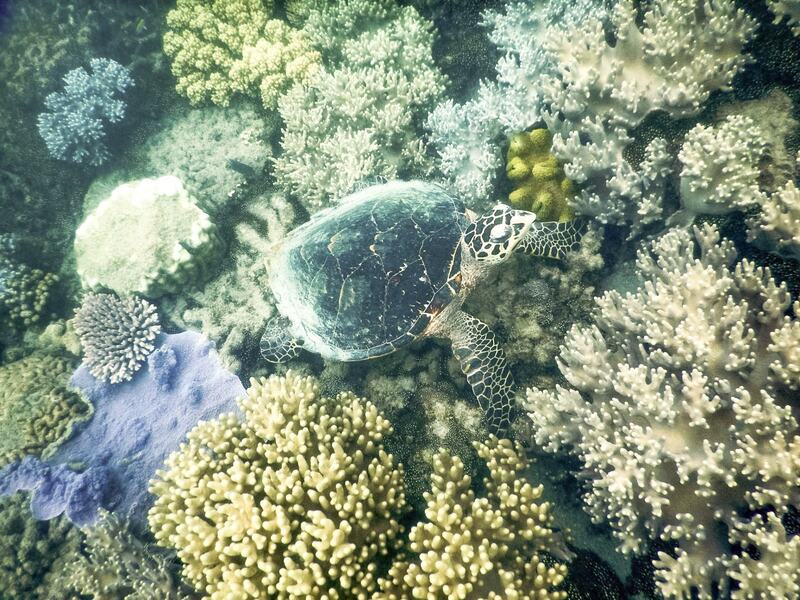 If you’re going to take the hike all the way to the tip though be very careful. 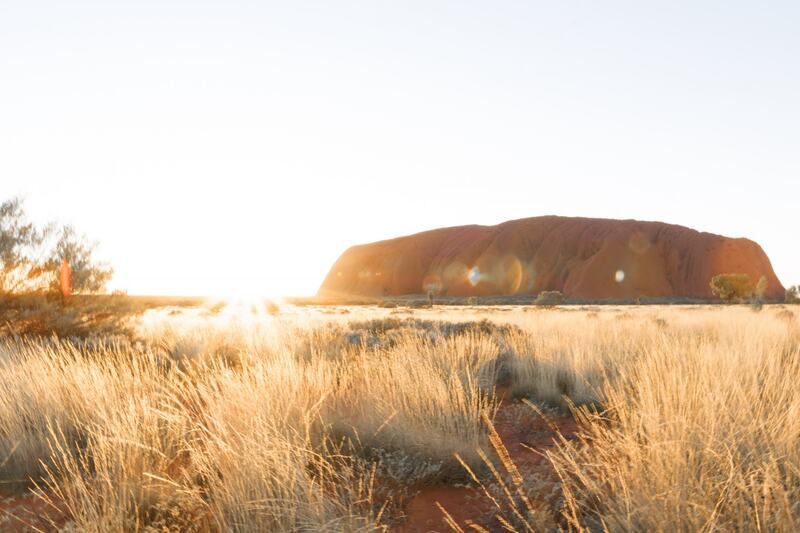 Read lots of information about the hike, as it is deemed one of the hardest in the national park and shouldn’t be attempted without the right clothing and equipment. Check out the best places to stay in the Blue Mountians. 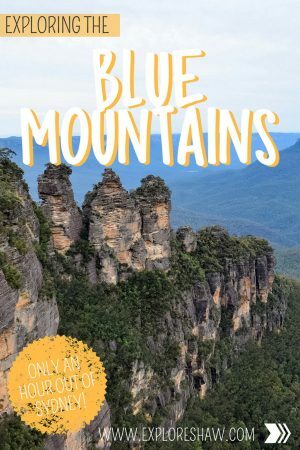 If you have some time I would recommend spending a couple of nights in this region to explore everything the Blue Mountains has to offer. 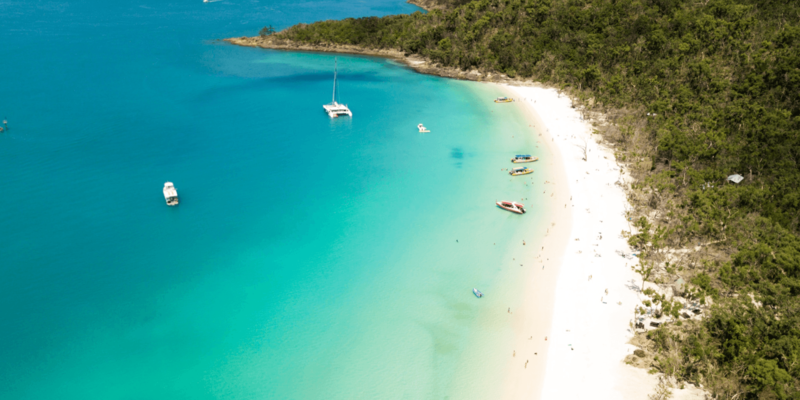 Some of the other major highlights that shouldn’t be missed include Honeymoon Lookout, Leura Cascades, Gordon Falls, Wentworth Falls, Everglades Gardens and Katoomba Cascades. 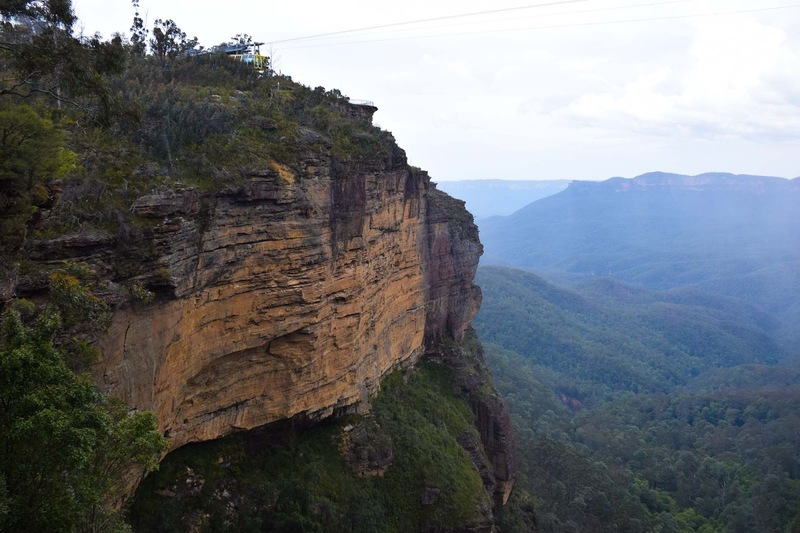 One of the easiest ways to visit all of the best sites in the Blue Mountains is by jumping on the Explorer Bus, similarly to a hop on hop off bus in many cities, the Explorer Bus takes you to all of the top highlights, lookouts and waterfalls in the national park and gives you the freedom to explore each stop at your own pace, with another bus shortly behind.